The Magnitsky Act, a bill that recently passed in both the U.S. House of Representatives and the Senate, seeks to punish corrupt Russian officials. The bill, named after Sergei Magnitsky who discovered that Russian officials stole $230 million from the Russian treasury and alerted officials, and was later imprisoned and allegedly beaten and denied medical care, later dying in his prison cell. The bill aims to curb human rights abuses and thus far has banned over 60 Russian officials from receiving Visa’s and entering the country. Russian President Putin, often critical of the United States for meddling in other country’s internal affairs, called the Act humiliating and threatened to retaliate. Now, a proposition, regarding banning Russian orphans from being adopted by American families, is being voted on in the Russian Duma, the lower House of Parliament. Although the bill has to pass through one more round of votes, the upper House of Parliament, it seems very likely that it will pass. Then, President Putin will sign it into law. 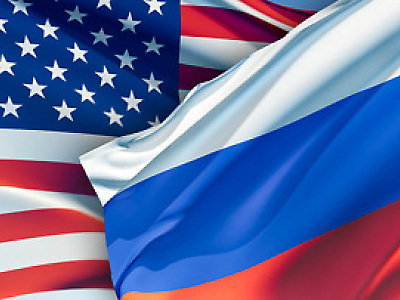 If the bill passes, bilateral relations between Russia and the United States will be even more strained than they already have been the past several years. Most importantly, the ban would hurt Russian orphaned children, as they would not be able to get adopted by American families. In fact, since 1999, more than 45,000 such adoptions have taken place. According to Reuters, “Washington’s ambassador to Moscow, Michael McFaul, said the Russian bill unfairly “linked the fate of orphaned children to unrelated political issues,” while the U.S. State Department rejected any parallels with the Magnitsky Act.” Russian officials, however, point to cases such as toddler Dima Yakovlev’s, who was a victim of his American father’s negligence when he left his adopted son in a sweltering car, causing his death. Or when an American mother put her adopted son alone on a plane to Moscow, citing emotional problems and that she could no longer take care of him. Although adoptions have always been a political issues, the recent legislation, which initially only targeted the assets of American doing business in Russia, now also includes the fate of orphans. Conflating the two issues is not going to be productive- Russia should step back and examine other avenues of retaliation against the United States, if they choose to do so. Punishing orphans and innocent American families just looking to be united as a family is not the means to the end. The United States, too, should reexamine its actions and take adoption abuses more seriously in court. Previous post ← Counter Terrorism or Limits on Religious Freedom?